I stayed here for 2 weeks in a party of 7. The location I thought was perfect. Not in the center of town but only 10-15 minutes away which meant it was quiet enough at night time. I had a wonderful holiday and can only congratulate the staff at the hotel for the way it was run.If I had any complaints it would have to be that there were no shower facilities for disabled people and despite a notice from the management sun beds were reserved every morning. If you were not down by 8.30-9.00 you had no chance of a bed. In fact the first couple of days here we stayed sitting on mattresses on the ground. There doesn't seem to be many things for young adults to do during the day at the complex apart from the pools(which were lovely and well used).On the whole I would recommend the hotel to my friends and would happily stay there again. Booked 2 bed apt when we arrived we were given 2 x 1bed next to each other was very pleased rooms were massive and very clean, only let down no kettle or microwave we hired an iorning board and iorn for 8 euros as we were gonig to a wedding whilst there. It was about a 15 minute walk to the centre. Didn't use any of the facilities whilst there couldnt get a sunbed for the whole week we were there! The reception staff were so helpful, even getting me a hair appointment. Would stay here again and take me own sunbed !!!!! We went to Fuerteventura a few years ago ... and saw this coming to completion. 1 bedroom appt .. had a large lounge , tables, sofa, large TV. A kitchen area with separate table, chairs, sink, 2 rings, fridge, coffee m/c and full stock of plates, cups, pans, cutlery etc. The strange choice was to supply a coffee m/c but no kettle ? .... we just used a saucepan for boiling water. We stayed at Las Marismas for 11 nights.I had read all the reviews on the hotel and I have to admit I was not disappointed.This hotel could easily pass for a 4 star rating. I booked a 2 bed apartment but when we checked in,very late at night, we were told that there weren't any 2 bed apartments available as something was "broken" in them.So our first night was spent in 2 seperate 1 bed apartments, next door to each other, but not ideal as our daughters are 13 and 14 and were in the other apartment by themselves.The next morning I spoke to the hotel manager explained that I wanted a 2 bed apartment as that was what I had paid for, and the problem was sorted within the hour! and what an apartment we got!!! Absolutely fantastic.Really big all mod cons.All sliding patio doors have a mosquito mesh screen which you can lock, so you can leave outer glass door open to let breeze in.The bedrooms had a ceiling fan which was nice to keep the room cool. The maid came in every day to clean she was lovely.Towels were changed every other day.Bedlinen was changed every other day as well. We went self catering which was great because there was plenty of kitchen stuff i.e. kettle, microwave, coffee maker, toaster plenty of plates/bowls etc.Wouldn't recommend the all inclusive option,it seemed very limited and food/snacks were only availble at certain times.The entertainment is non-existent so not so good if you have kids or teenagers like us. Location of the hotel is not too bad.It takes about 15-20 minutes to walk down to main part of Corralejo.Best bar was Flicks Bar great for anyone with kids or teenagers our girls loved it.Staff were great and we're still in touch with them.Because hotel is a walk away it's good that you can have a quiet nights sleep! All in all this hotel is well worth a visit,you won't be disappointed.We would recommend it to anyone. The Hotel itself was great, not so much the bar or the entertainment as we never really seen any of these, very clean, plenty of maids coming round all the time, loved our stay there, corralejo good, plenty to do for a week, no longer though, don't go all inclusive as you will be very disappointed in the winter months, prob different during the summer. Very good apartments, should def. be 4 star on the accomodation just the extras that let it down i'm afraid. Will def. return to these apartments in the future. These apartments only have a three star rating but really deserve to be a four star. They are loving and when you arrive all the curtains have little roses made out of tissues, which was very lovely. I cannot complain about the cleanliness of the hotel. The whole place was immaculate. I am a bit of a clean freak and am always wary when I go away but the standard of cleanliness was excellent. The hotel is a 5 - 10 minute walk from the main strip but we didn't find this a problem at all. Do not let this put you off at all. The reception staff were fantastic. Every one of them were able to talk spanish (of course), English and German very very well and the cleaning staff were also very friendly. I would definately recommend this hotel to everyone and would definately return. We had booked this apartment complex direct and had been assured, on more than one occasion, that we had reserved 2 x 2 bedroom apartments. Imagine our disappointment and anger to find that, on arrival, that they would only give a 1 bedroom apartment to our friends, due to the fact that they only had one child. We stayed at this hotel on an all incusive basis and had a very enjoyable stay. The food was very good, the buffet menu was pretty similar everyday but there was a wide range of foods to choose from so providing you didn't pile up your plate with a bit of everything everyday your menu would be varied. The rooms were cleaned regularly with bed and towel changes at least three times a week. 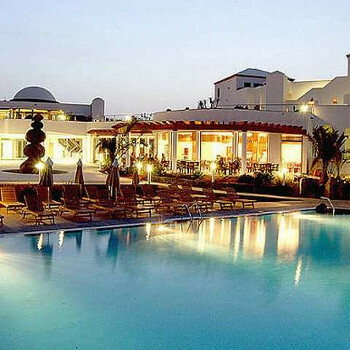 The pools are fantastic, a large children's pool and two large pools with plenty of sunbeds. Optional towel hire with a refundable deposit. An on site mini market that stocked all essentials at reasonable prices and a mini golf course. The only fault we could find was the evening entertainment which consisted of a magician, a two man band with a trumpet and a saxaphone player. All in all I would highly rate this hotel and would definatley stay there again. Fantastic Complex ~ only a 3 star but should be 4*, the only reason why it wouldn't be maybe is because of the lack of Air Con in the rooms! But there is a large ceiling fan in the bedroom. The rooms are spacious and very well maintained and cleaned 5 times during the week. Only down side was lack of entertainment! Only 4 times during the week and nothing to shout about at all. The room that we had had 2 balconeys (both huge) as we were on the 3rd floor (only about 10 rooms on this floor) if you get chance then ask for a top floor room, the views are amazing! As for the resort itself - lovely and quaint, small harbour and huges beaches. If your looking for a manic drink fuelled frenzy then this isnt for you, but if you are looking for a relaxing time with great weather and views to die for then this is for you. The walk to the town centre takes about 10 mins or 2.50 in a taxi. Once in town head straight on to the old town where there are old restuarants a plenty and bars and clubs, even in the back streets you'll find bars and places to visit. We hired a car for 3 days @ 85 euros from Wendy's in the high street (the cheapest we found) and the drive around is great, including the mountains (which I dont usualy like) but these were ok to get around. The dunes are huge and you drive threw the middle of them (sand does cover the roads and the Taxi's do zoom across them at some speed) - If your Gay then there are a couple of bars to visit, Bubbles in the atlantico on main street and also Sadies drag bar in the back streets by the Shell petrol Station. Sadie's is great and well worth a visit, family run by son, mum and dad. The son is Sadie and is fantastic - well worth a visit. Say hi from us when your there!! Have a great relaxing holiday and enjoy the sun and the breeze that cools you down.